Franz Rosenzweig died young. His mid-twenties marked the apex of his life without him realizing that it was half spent. Jewish philosophy is studded with figures whose life spanned less than Rosenzweig's 43 years but whose name shined bright and far, both during their life and after their death. By contrast, Rosenzweig remained an enigma for his academic intellectual circle and its environs. He became neither a beacon or a mythical shepherd for the masses living a routine life, even the religious routine, although he could have provided the propelling impetus towards greatness for many. As a personal event, Rosenzweig's death at a relatively young age certainly constitutes a tragedy, only intensified by the compassion for his suffering during latter years from muscular dystrophy due to which he had difficulty communicating, even with most of his relatives. Beyond the personal experience, his death signaled a lost possibility to delve deeper into a widespread population pondering the meaning of Judaism. Although Rosenzweig wrote the pinnacle of his work as a proposal for a new philosophical method, even speaking out against strong and accepted patterns, and although he possessed only a fundamental knowledge of Judaism at the time, he nonetheless employed great intuition in relating to subject matter relevant not only to those with biographies similar to his own and of his era. Moreover, his premature death derailed the possibility of creating a more familiar discourse of Jewish religiosity. And yet, the turning point at which he chose Judaism over all the surrounding options and conundrums may prove relevant even today. "In 1913, something happened to me for which collapse is the only fitting name […] I realized that the road I was then pursuing was flanked by unrealities […] Amidst the shreds of my talents I began to search for myself, amidst the manifold for the One. It was then… that I descended into the vaults of my being [to a place wither talents could not follow me]"
(Letter from Franz Rosenzweig to Prof. Meinecke, Kassel, 30.8.1920. From: Selected Letters and Diary Fragments). Franz Rosenzweig wrote of his experiences from a distance of seven years. During that period, he sensed as if all his talents and intellectual capacities were insufficient in the face of the fragility of existence. The impression of that period on his life became retrospectively apparent as having borne decisive influence. The same terror that overcame him and forced him to find a sliver of light and order to save himself from the anguish he was experiencing, continued to influence Rosenzweig for years to come. This harsh experience can be said to have heralded that "descent into the vaults" that led Rosenzweig to a profound process of self-reckoning with the environment in which he had been raised. He took task with the worlds of philosophy and theology, in both of which he was proficient following his studies. These two worlds filled his thinking, suddenly demanding a practical decision about his true sense of belonging and not just with regard to his intellectual jaunt through them. Approximately four years after the letter to Meinecke, he reported to his cousin that although he, and others, had previously thought that he would convert to Evangelistic Christianity, he would in fact not do so (Naharayim – Selected Texts, Jerusalem 1978, p. 205, Heb.). He explained his decision by the feeling that his understanding of the Revelation thus far had been deficient. It became apparently clear to him that his entire intellectual knowledge, even that of religion and the role of the "revelation" in life – had proved inadequate. He was already charged with new thoughts flooding through him that he then presented in his writing as a philosophical structure replacing the knowledge he had hitherto accumulated and relied upon. He developed his thoughts on postcards which he sent home during his military service in the artillery corps during World War 1. Rosenzweig volunteered to serve in the army while already infused with the understanding that his life was lacking in the religious sphere. In his writing, he related less to the existential experiences of the war front and more to his encounter with Jews of Sephardic tradition. Echoes of these meetings can be found in his work on life and on the new facets of Judaism to which he had been exposed. At the end of his military service, he was sent to an officers' course in Warsaw where he became acquainted with Hassidic Jews and it was there that he first encountered the world of the 'shtiebel' prayer, an experience that was to shake him to the core and change him forever. More than the correspondence home being a dialogue, it represented an attempt to hoard and preserve his fleeting thoughts and images for the period following his army service. Thus, for six months and without the crutch of a library or other means, Rosenzweig formulated the reasons for his decision and his manner of clarification – all revealed in the postcards. Upon his return from the front, he edited the texts and, in 1921, published them in the book Star of Redemption that thereafter became the centerpiece of his corpus. The book did not contain a revealing personal expression of his soul's mood but rather, was formulated as a removed philosophical discussion that sought to contend with western philosophy and lead to a satisfactory understanding of the "revelation" and to the wonder at the "miracle of revelation" that Rosenzweig identified in Judaism. "Revelation is forever the guarantee of [a person's] entry into eternity"
(Star of Redemption, Jerusalem 1970, p.288 [Heb.]). Revelation, for Rosenzweig, does not merely enable a person exposure to that which was hitherto concealed from him, but rather, is itself a person's gateway to the experience of eternity inherent in human existence. It functions as a kind of 'key' that not only signifies a new concept, but also demands activeness and a person's frequent intervention in the events occurring throughout his life, urging him to repeatedly open the gateways he encounters. As mentioned above, Rosenzweig took task with the philosophical patterns he had previously ingested and with his Christian and Jewish theological knowledge. In so doing, he indicated bridges and chasms between the two religions. This elucidation process was fashioned from central themes that clarified fundamental concepts and determined the new concepts which represent the innovativeness of the Star of Redemption. The main theme of the book is the examination of 'The Three Principles' of the world of philosophy: God-Man-World, and of their breadth and limitations. After grappling with these three concepts, Rosenzweig instituted a new form of thinking that necessitates another layer of three fundamental principles: Creation-Revelation-Redemption. 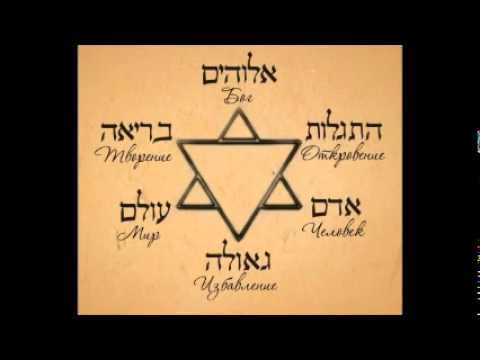 He identified the new principles as dimensions unique to Judaism and that enable unrestricted movement in the immutable sphere of relations that is God-Man-World. In the Star, Rosenzweig sought to express a critique of the state of western philosophy which had until then been his life, both in terms of social environment and in years of study. The turn to Judaism was for him, a philosophical, and mainly, anti-philosophical decision. His objective was to create a philosophical method not subject to the definition of the 'philosophy of religion' but rather to the 'philosophy of revelation'. He sought to present revelation as the critical element of the Jewish world and to learn thereby of the possibility of a new worldview. The Jewish world that gradually became a permanent fixture in Rosenzweig's thinking and lifestyle was not initially as orderly and well-rounded as that of a traditional Torah scholar. An observation of the scope of his knowledge as presented in the book, clearly reveals his prolific expertise of the history of western philosophy and its undulations compared to his more basic knowledge of Judaism. The Star was a text through which only a reader already in possession of its hoard of knowledge can progress, and as such, proved inaccessible for many. The book was aimed at scholars and did not offer a grounding of biographical context or clear ideological motivation for less erudite readers. As a result, in the year after its publication, Rosenzweig composed, but subsequently shelved, a sort of precis to the book titled Understanding the Sick and the Healthy. It was only eight years later, shortly before his death, that he published the essay The New Thinking which details the "old" way of thinking and the shift towards the new way he had forged. Thereafter, the book assumed a certain clarity, in part by indicating that abundant thinking does not allow reality to truly exist, but rather, ponders and gazes incessantly at the essence of existence, the epitome of asininity. He demanded a return to viewing the articles of existence and the details of life as simple and valid rather than as the starting-point of a quest for essence and lofty ideas that only serve to detach one from reality. He expressed himself precisely and in a manner that expressed the frustration behind his critique of a situation leading to neurosis. Rosenzweig diagnosed the "sick" intellect as one anticipating it via his own flesh, as one subject to an existential predicament and seeking direction. In his endeavor to dispel the halo of majesty surrounding philosophical thinking, Rosenzweig expounded on the primary difficulty inherent in the chase for what seems to be the quest for wisdom but becomes apparent as a burdening of and distancing from life, ultimately leading to disease. Rosenzweig's philosophy contains repeated reference to fundamental concepts that he instituted based on, and against, philosophy. The Star is testament to the fact that he is not advancing his claim from an all-embracing Jewish standpoint. In fact, the opposite is the case – he forwards his argument as one who feels at home in the West and who identifies within himself broader yearnings. Rosenzweig was already familiar with the descent into the rigors of life from existentialistic patterns that generally lead a person to seek death, to philosophical pessimism anchored in semi-free thinking. He was acquainted with the emotional mechanism of a person undergoing this process and sought to nullify the point of view that prefers the fear-of-death consciousness over life. In Understanding the Sick and the Healthy, Rosenzweig conducted a dialogue with the world of philosophy which is directed not only at an "expert" in the field but at one who is "sick" – a person who has internalized this way of thinking and is in a conundrum. Throughout this short work, Rosenzweig listed the problems of western philosophy that is translated to an absurd by those studying it and by its practitioners. In it, he described the torment and tragedy among the learned populace – those who thought that, as observers from the sidelines, they possessed the ability to benefit from freedom of thought from a safe distance, only to discover that they were indeed rooted in day-to-day life, albeit unstably. He described rationalism as a situation inexpressive of common sense, but rather, as a distortion of thinking. A person is rooted in a preclusive existence and even delays purchasing a slice of cheese due to his acknowledgement that he failed to sufficiently define the object in reality and his relation to it. An even more difficult situation is the inability to commit to love and to a loved one – after all, what is the significance of an individual relationship with respect to the eternal? And how is an ideal relevant to daily life? And thus, he repeatedly stands and ponders to such an extent that it leads to the inability to implement any step of substance in reality. Rosenzweig aimed to expose the weakness of the philosopher's character and to peel away from it any semblance of superiority over the simple person. "[…] as wonder means lingering"
(Understanding the Sick and the Healthy, Tel Aviv, 2005, p.44 [Heb]). 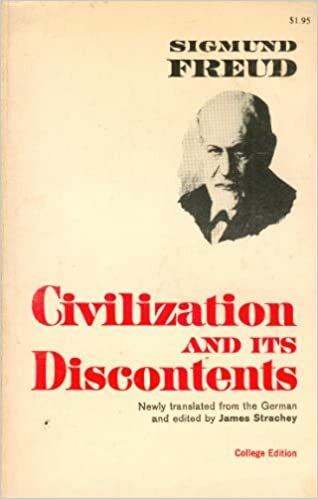 In 1930, approximately nine years after publication of the Star of Redemption, and the writing of Understanding the Sick and the Healthy, Sigmund Freud published the essay The Uneasiness in Culture. Rosenzweig had fulfilled his contribution to the world prematurely and died several months previously. An examination of the two works' content reveals a deep connection between the two intellectuals' descriptions of reality. Rosenzweig's description was composed out of his physical tribulations and the confines of his home whereas Freud's was written out of the suffering of others and the breadth of his vision. It can be said that Freud's explanation of an existence embodying unease that stems from the acknowledgement of one's limited ability to extract pleasure from life itself, had already been previously formulated by Rosenzweig. Whereas Freud presented his insights from the lives of individuals as being inextricably related to humanity as a whole, Rosenzweig delimited his understandings to very specific prototypes. Freud sought to expose the fact that beyond the experience of progress, exists a sense of terror in the face of life's finiteness, the fact that nature may lead to suffering, and due to the recognition that humans are powerless to defeating hidden forces. All this, he claimed, leads people to seek places that simulate a solution or a temporary escape from the searing truth. Turning to cultural escapism, he indicated, is identical to turning to religion. By contrast, Rosenzweig realized that the inner storms of the soul during times of crisis lead a person to feel as if there is nowhere in the world he may feel at ease. It was precisely from such an existential hell that he extricated himself to a new locus. He succeeded in defining kinds of "prototypes" but did not claim that these represent humanity as a whole, but rather, those that professional philosophy specialists. The main thrust of Freud's essay is the unattainability of pleasure and the reality that humans are destined to live in a state of unease. He describes how, despite attempts to the contrary, all ultimately reach the same inescapable conclusion i.e., that nature cannot be subjugated, humankind being therefore doomed to a lifetime of unrest. Modernity cannot alter the finiteness and spiritual suffering of human existence and religion answers the yearning for a solution to the lack of salvation. In other words, when turning to religious life, one adopts an illusion according to which he needs no longer occupy himself with such mysteries. Freud's premise does not relate directly to the life of the person referred to by Rosenzweig however may still prove relevant to Rosenzweig's philosophy because of his occupation with the existentialistic fracture, a state in which both external and internal reality, neither of which are at rest, can be at peace as long as life is lived according to the patterns of thought and behavior derived from the evolving cultural life of the west. Freud's words serve to contribute towards an understanding that Rosenzweig's description of the "disease of philosophy" expresses a deeper privation concealed within the culture in the throes of unease. To a certain extent, Rosenzweig himself expressed that which Freud later defined in his own essay. Once he had created a safe haven and systematic route for himself, he devoted his efforts to striving towards a full religious existence. Although his knowledge of Judaism was inferior to his knowledge of philosophy, he succeeded in identifying Archimedean points from which he continued to develop. Once he had forged a new level in a consciousness relating to creation, revelation and redemption, he called not to suffice with a delimited experience of them but rather, to prolong and intensify their presence. He demanded a daily statement after which a person should search and for a cultivation of the Human-God axis of relations. Just as he knew that Shir Ha-Shirim (The Song of Songs) was read throughout history as an allegory of the relationship between God and the Jewish people with the semantics of a love story, so too he demanded that the 'marriage' of Mt. Sinai be followed by a continued investment in the relationship and in reciprocal growth. The bond between mankind and God is built on infinite love and, as such, requires constant care and adaptation. Rosenzweig thus cast the restlessness of the creative mind into an ideological marriage with God and the resultant obligations.